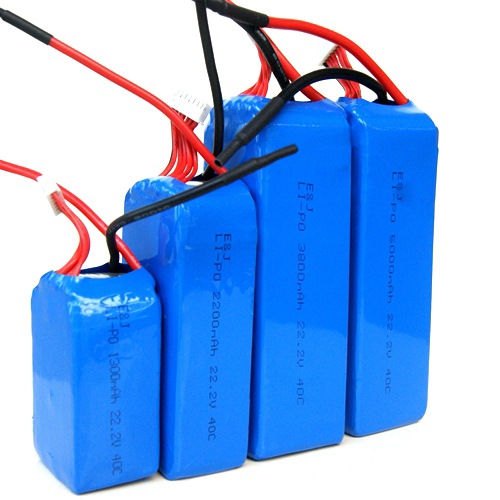 E&J manufactures high quality, high performance custom lithium polymer battery packs and assemblies. Using advanced mechanical and electronic design tools, our expert battery design team will optimize the manufacturability, safety, and reliability of your custom battery packs, giving you the most dependable and cost effective lithium polymer battery pack solution for your needs. This series are widely used in R/C helicopter,R/C boat,racing car,E-Bike,power tool,Military power,Aviation model and so on. 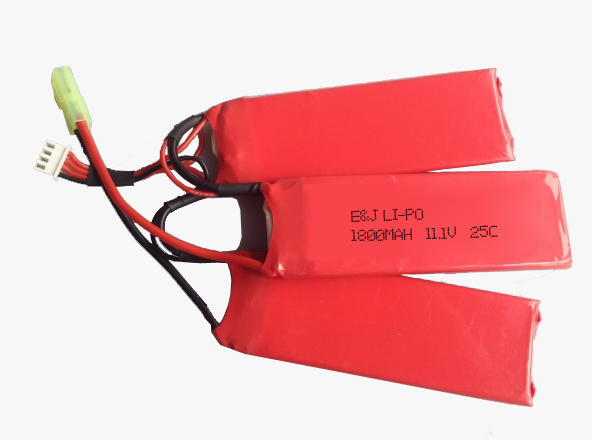 Lithium Polymer battery is currently considered the best electric power source available for use in electric RChelicopter. The reason for this is that lithium battery packs are significantly much lighter than NiMH or NiCD battery packs, and it has higher capacity for the same dimension. 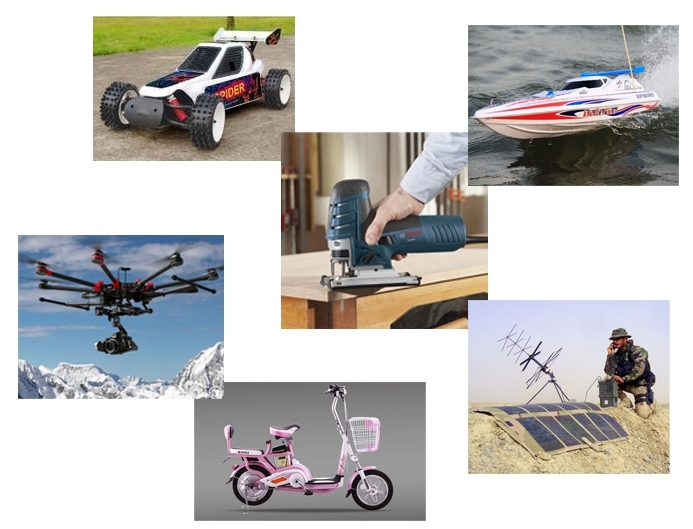 Over the seven years they have worked their way into the hobby market, and in addition to being used in electric RC helicopter kits they are also common in RC boats, cars, and airplanes. Their lower weight and higher capacity make them good ideal for long flight times, while also providing more power. Lithium-ion-polymer batteries differ from lithium-ion batteries only in construction—it is not a unique and different chemistry. 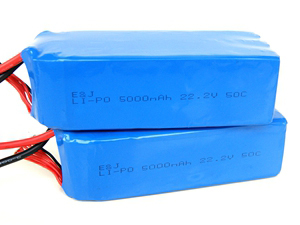 Li-polymer can be created in an array of chemistries, the most widely used of which is Li-cobalt. The difference in construction over conventional li-ion cells allows for lower cost, safer operation, and flexible packaging options; cells as thin as a credit card are possible. The combination of these factors makes custom lithium polymer battery packs and battery assemblies an increasingly popular choice for a wide range of applications. 4) Portable exchange devices: POS, Handy, Fingerprint machine, Portable stock machine. Discharge current C rating describes how quickly a battery can be discharged. A 3000mAh Lithium polymer battery with C rating of 1C continuous would mean it should not be discharged any faster than 3000mA (3A), which would take one hour. A 2000mAh pack rated for 5C continuous would be able to discharge at 5 times its capacity (5 x 3000mA = 15000mA or 15A) at which rate it would discharge in 1/5th of an hour. Using a pack with a higher C rating than you require will leave some room for safety, and extend the life of your lithium polymer battery. If you know how much continuous current will be drawn and the capacity of the pack you want to use, you can easily determine what C rating you require. If you are drawing 5A from a 2000mAh pack, simply take the current and divide by the capacity: 5A = 5000mA, 5000mA / 2000mAh = 2.5C. Lithium polymer battery is also given a C rating in terms of burst, which is how quickly the battery is able to discharge for a short time. A burst rating of 10C would mean a 3000mAh battery could supply 10 x 3000mA = 30000mA or 30A for a few seconds. 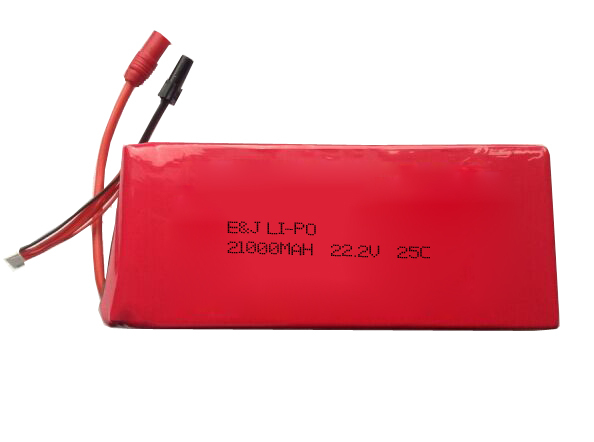 To select a battery for your RC helicopter, you first need to know what voltage you require and how much current you will be drawing continuously. 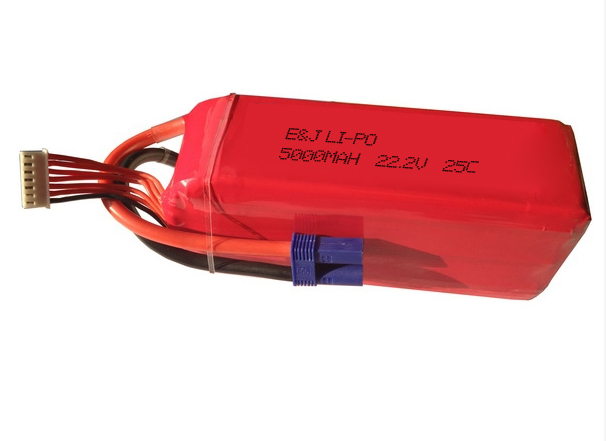 If the motor in your RC helicopter is rated to work with 14.8V, you would need a 4 cell battery. 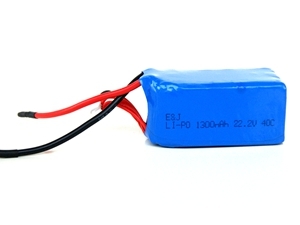 If you need to draw 10A, and you would like your RC helicopter to have a 10 minute (1/6th of an hour = 6C) flight, you would need a battery with 10A / 6 = 1.7A = 1700mAh. 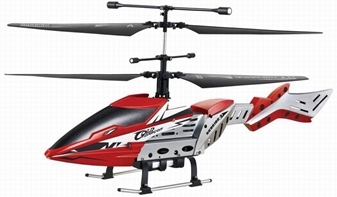 This means you would need to put a 3s 1700mAh battery with a C rating of 6 or higher in your RC helicopter. 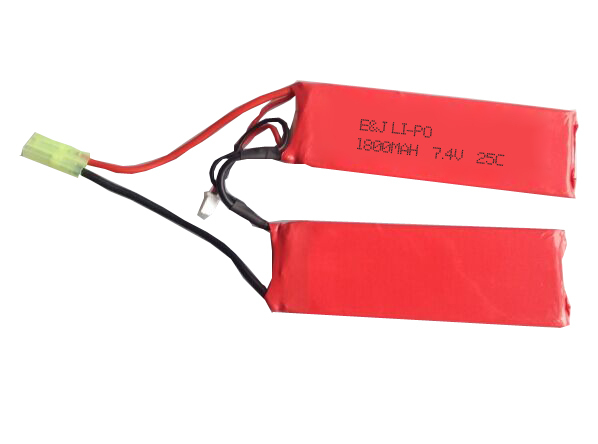 ■Remove lithium polymer battery pack from your RC helicopter before charging. ■ Only use chargers designed to work properly with lithium polymer batteries. ■Always place your lithium polymer battery on a fire-proof surface while charging. ■Never leave your battery unattended while it is charging. ■Never charge lithium polymer battery if it is below 3.0V per cell. ■Never charge lithium polymer battery that is puffed up, or damaged in any way.